RCS was co-founded by David Hanlon and Terry McCosker in 1985. Initially a consulting company based in the Northern Territory, after introducing the concepts and principles taught by Stan Parsons and Allan Savory, RCS moved its base to eastern Australia in the early 90s. This also saw the addition of training and peer development programs to complement the consulting activities. RCS has grown into a national company, providing a range of professional services to producers and producer groups right across Australia. RCS South Africa was established in 2003 and strong links from relationship remains with Ranch Management Consultants in the USA. Stan Parsons, founder of Ranch Management Consultants (RCS’ sister-company in the USA), was born and raised on a large farming operation in Zimbabwe (formerly Rhodesia.) He was profoundly influenced by his banker father who insisted that each of their many enterprises (including the country’s largest dairy and swine herds) must stand on its own economic feet. When the political climate started deteriorating in the late 1950s and early 1960s, his father recommended that Stan and his brothers go back to university for higher degrees. Stan’s Ph.D. is in reproductive physiology. But when his major professor insisted he take his research to the farmers in the form of seminars, he soon realized the practical economic limitations of his work. He felt the need to learn more about economics. An MS in Agricultural Economics from Purdue followed. Wonderful and rigorous degree that it was, it didn’t teach Stan anything about how to make money in agriculture. To remedy that deficiency, Stan read widely on business management while he was a professor of farm management and agricultural economics at the University of Rhodesia & Nyasaland. Repeated demands by local farmers associations led to his first course on the application of business management to agriculture in 1969. About the same time, Stan was assigned to a research project to test the economic and biological validity of the “Savory Grazing System.” Inevitably that led to a close association between Stan and Allan Savory, which lasted 13 years. Together, working closely with clients in South Africa, they experimented with a ‘holistic’ approach to ranch management, combining grazing management and animal husbandry with business management. When they started operating in the US in 1979, demand for their services outpaced their resources so they expanded the business courses Stan had started a dozen years before to include ecology, grazing management and animal husbandry. Stan and Allan parted company in 1983, when Stan established Ranch Management Consultants and began teaching Ranching for Profit Schools. Stan first visited Australia in April 1989 and returned by popular demand in October 1989. The first Ranching for Profit School was run in Australia in March 1990. After its resounding success, it continued on as a GrazingforProfit™ School in July 1990. After doing three Schools in Australia, it became obvious that we could not follow up with everyone on a one-on-one basis. Stan had developed a “Continuing Education” group concept in the US in 1991 and after several meetings under that title in Australia, in 1992, it was named ExecutiveLink™ by the late Barry Homan. It took three years and significant attrition rates from the group to work out how to make ExecutiveLink™ function effectively. In 1994, Stewart McCarthur and Terry McCosker completely re-vamped ExecutiveLink™ based on the first three years experience. That format and process is essentially still in place today in Australia, the US and South Africa. 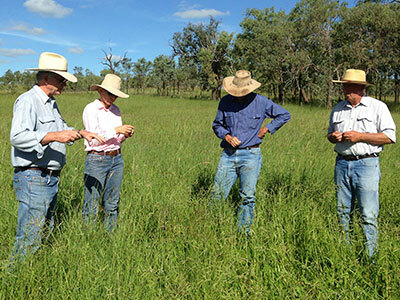 Three decades later, the core business of RCS now consists of providing education, professional advice and elite professional development via a range of services and programs on how to best manage people, land, production systems and business to family business, corporate agriculture, indigenous agriculture, landcare and regional bodies and students. All RCS delivery staff working with RCS began their journey as clients.